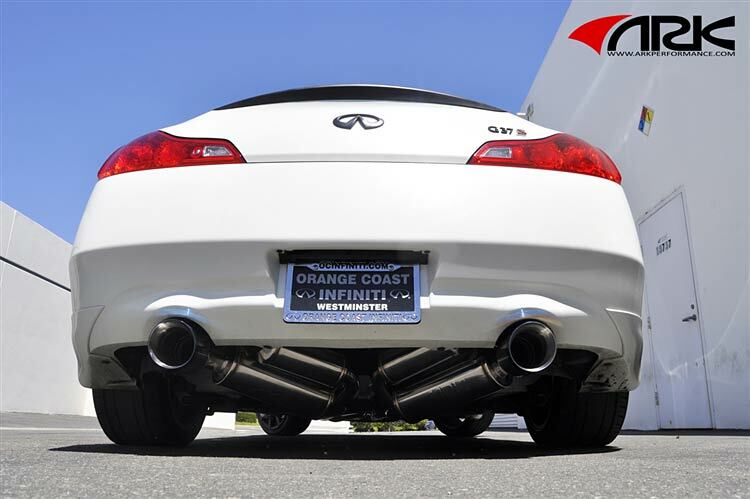 Looking for a performance G37 exhaust? You’ve come to the right place. We compare nine of the best G37 exhausts available to help you find your perfect system. Infiniti may well have had the luxury, upper-class mindset when they built the G37, but that hasn’t stopped car tunes across the world being desperate to own this sleek looking machine to put their own unique twist on it. With the G37 at a more affordable price bracket than ever and a huge array of aftermarket parts available off the shelf, it’s easy to see why the G37’s popularity is increasing in the scene. Whether you’re building a full-blown drift or grip car for the track or scraping your way to the local car meet, the G37 is a fantastic offering. An exhaust is always one of the first things to change on a car due to a low price point and ease of fitting combined with freeing the additional power and giving your G-series a far more impressive sound and look. This guide has been created to help you find the perfect exhaust upgrade for your G37. We’ll be focusing on all aspects that you’ll be looking for to compliment your G-series perfectly. For each exhaust, we also add our own comments. In addition, we have given a Drifted rating (1-5) based on features and price. We are considering budget, mid-range and high end exhausts in this comparison. Let’s take a look at our selection! To read more about any of these products just click on the exhaust name or photo. Purchase link: Buy your Stillen G37 Exhaust at Enjuku Racing! Our comment: This mid-price offering from Stillen brings offers a much cleaner look to your G-series. With an ‘aggressive tone without the annoying drone’, this is an ideal choice for those who want the looks, performance and aggressive sound when under throttle but also keen to keep noises to a minimum when cruising on the highway. Purchase link: Buy your HKS Hi-Power G37 Exhaust at Enjuku Racing! Our comment: The HKS Hi-Power exhaust is a Japanese classic and once again they’ve pulled it out of the bag with this work of art. Enjoy the subtle sounds until you plant your foot to the floor to let her roar. This is another great choice for those who are after the quieter option for daily driving. However, we doubt you’ll be able to resist hearing the sounds it produces as it screams its way to the redline! Purchase link: Buy your Tomei Empreme Titanium G37 Exhaust at FRSport! Our comment: Weighing in at an insane 13lbs (5.7kg) is Tomei’s offering, despite an extremely impressive 18.8kg weight loss, this single-exhaust system is perhaps not for everyone. If you’re purely after weight loss and performance, the Tomei is quite possibly the best choice for the money. However, with the G37’s body design made with twin exits in mind – having a single large Jap-style exhaust poking out the rear is an acquired taste. Featuring far fewer bends than other offerings, the large diameter, high-flow design of the exhaust is fantastic for performance but not so great for those who are after a quieter drive. Please note that this is the 370Z exhaust which Tomei says will fit, however we suspect it may require some small modifications. We recommend contacting the supplier to ensure correct fitment. 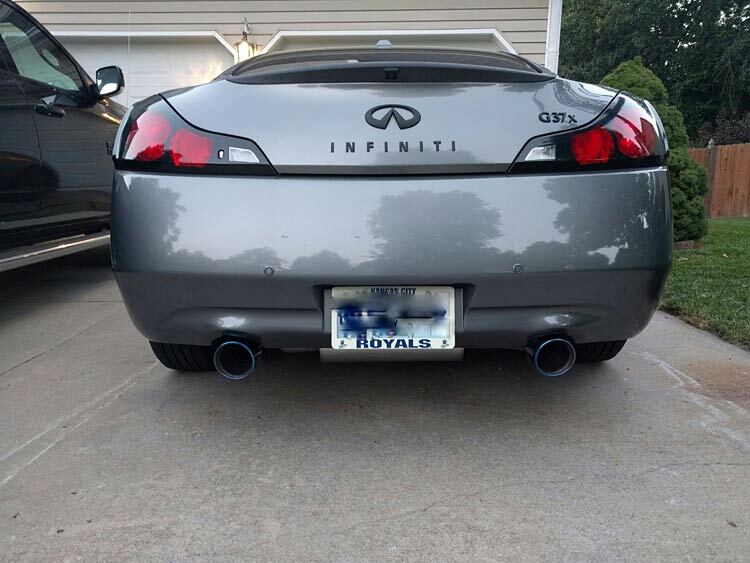 Purchase link: Buy your Invidia Gemini G37 Exhaust at FRSport! Our comment: Boasting a subtle design with burnt tips, Invidia bring another very reasonable and extremely popular option to the market. Although slightly louder than some of our earlier offerings, it is still tame enough to be a good highway cruiser until the deep growl unleashes an entirely different beast around the 2.5-4.5k rev range. Purchase link: Buy your ARK GRiP G37 Exhaust at Enjuku Racing! Our comment: With arguably one of the best sounding options, ARK have listened to the people when designing their great-looking exhaust. As well as having the popular burnt tip option, there’s also the choice to go down the traditional stainless steel route. This exhaust features quiet cruising speeds which open up to deep intoxicating acoustics to show off that awesome VQ tone. Purchase link: Buy your Manzo G37 Exhaust at FRSport! Our comment: By far the cheapest offering from our list, this Manzo exhaust offers great value for money for those who are looking to go down the lower-budget route. We can’t deny that the exhaust sounds great despite some drone noise and when fitted under the car, it certainly looks good too! If you are simply looking for a better flowing exhaust without being worried about perfect welds or running a name brand, this may well be a great affordable option for you! 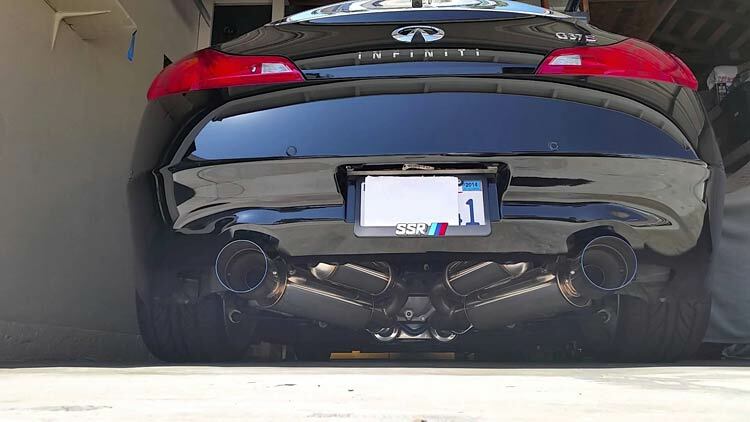 Purchase link: Buy your Fast Intentions exhaust here! Our comment: This fantastic mid-range offering from US-based Fast Intentions is the first choice for many owners. Each exhaust is made in-house to order at their US factory to extremely high standards with great fitment. With an epic deep, throaty, exotic-sounding note, it’s easy to see why this is the go-to option for so many owners. Our only downsides would be a slight drone in the upper gears and it perhaps sits a little lower than those who require high ground clearance would like. With a choice of tips available, great looks and an epic sound, it’s definitely one to consider. 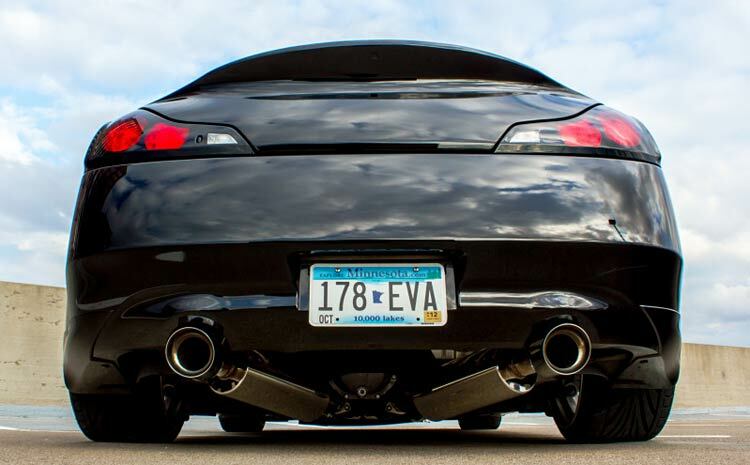 Purchase link: Buy your PowerHouse Amuse Exhaust here! 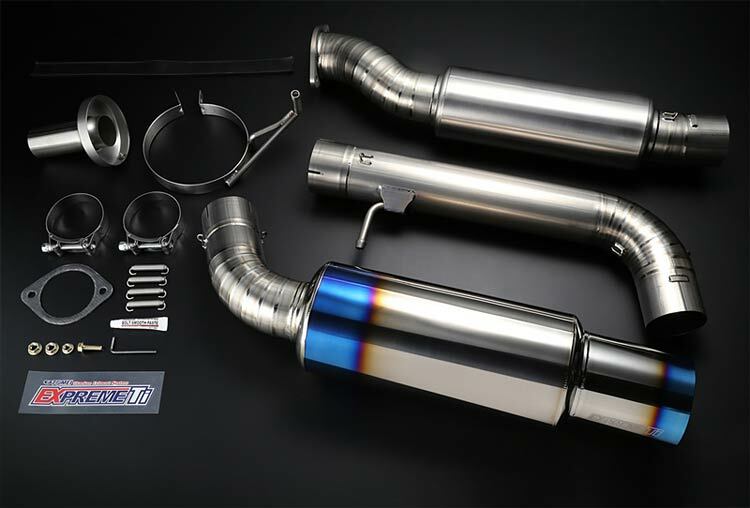 Our comment: Weighing in at just 9.0kg, this incredible STTI titanium offering from Amuse is undoubtedly the unicorn of the G37 exhaust world. Despite being visually stunning insanely lightweight and providing an incredible soundtrack, this comes at a cost. With prices starting at $3,295, expect to fork out an eye-watering $7,485 for the quad-exit alternative. 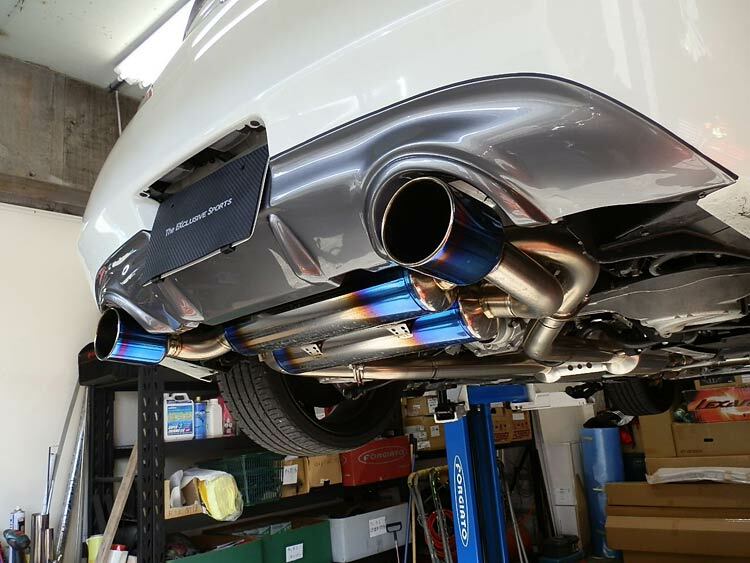 If money is no object, this could quite possibly be the exhaust for the perfect finishing touch to your G37! Our winner is Invidia Gemini. There’s no doubt that exhaust choices are mostly down to personal preference. 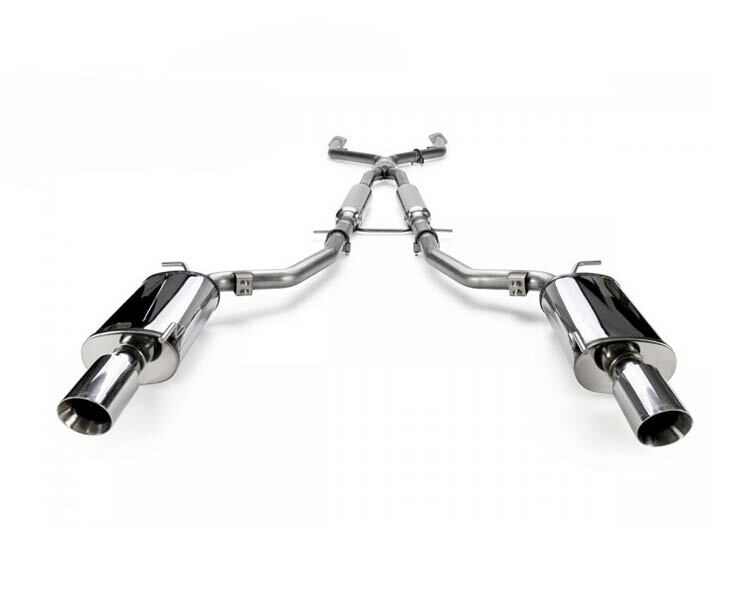 Each person may prefer the look or sound of a certain exhaust and each one in this guide will see improvements over the restrictive stock mufflers. We couldn’t ignore the specifications, features, quality of build materials and price point of our winner, the Invidia Gemini. Already an extremely popular offering among G37 owners, the value for money while providing an incredible soundtrack and great quality, we felt it just couldn’t be beaten. 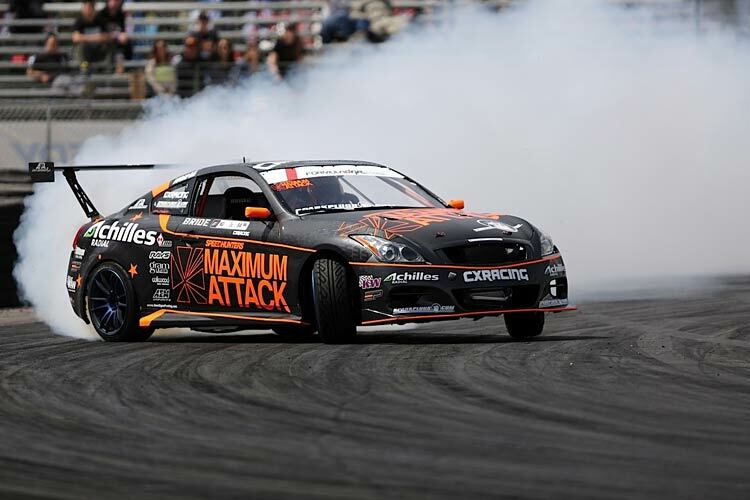 The winner of our 350Z exhaust guide returns, this time as runner up. Despite it’s incredibly low price, insanely low weight and good looks, the Invidia Gemini ticked more of the correct boxes. The Tomei Expreme is loud, in your face and won’t suit everyone’s taste, but as far as money goes – it’s quite possibly the most tempting option! If you enjoyed this article then please share it with the sharing buttons on the side and the bottom of your screen. Now you’ve sorted out your exhaust, why not treat yourself to some shiny new coilovers? Want some more power? Our G37 Supercharger guide is right up your street.